In testimony at the United Nations General Assembly Fourth Committee, Eric Jensen, former head of the Western Saharan mission and Special Representative of the Secretary-General in Western Sahara from 1993 to 1998, outlined a series of unfortunate anniversaries that have come to mark the Western Sahara conflict – and inhibit its resolution. First, 2014 marks the 40th anniversary of the 1974 Spanish census that served as the basis for identifying the population of the Sahara. 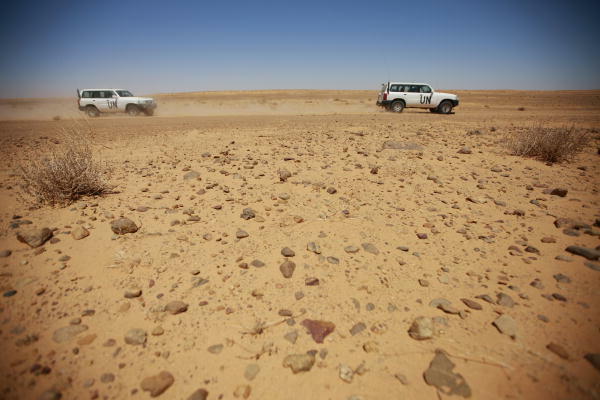 Jensen noted that the census is of historical interest but little else – and absent a new census in the Polisario-run camps in Tindouf, there is little hope of identifying the entire Saharan population. Second, 2014 marks 20 years since the process of identifying potential voters for a referendum began. As quickly became clear, such voters could not be accurately identified to the satisfaction of both parties, and the identification and referendum process broke down. This led to Jensen’s third anniversary – the 2004 UN decision to move away from an unrealistic referendum toward a negotiated political solution between the two parties. Ten years on from that decisive shift in UN policy on the conflict, negotiations remain deadlocked despite serious efforts by Morocco to break the impasse. Most notable among those efforts: Morocco’s 2007 autonomy plan and its 2011 Constitution — which included the creation of an Economic and Social Council, a strengthened National Council for Human Rights, and a plan for decentralization. All are essential elements to giving regional autonomy credibility. Jensen underscored the importance of these steps and the missed opportunity of not taking advantage of them, arguing that decentralization could provide a serious framework for a solution to the Sahara conflict based on autonomy under Moroccan sovereignty. In closing, he stressed that it is crucially important to resolve the conflict now, given the deteriorating security environment in North Africa, and that doing so will require compromise. Morocco has offered just that. Now it’s the Polisario’s turn.